We're already expecting the Sony Xperia ZU to be big and fast, but some leaked benchmarks suggest it won't just be fast, it'll be insanely fast. The rumoured 6.3-inch handset is said to come boasting a quad-core Snapdragon 800 and the benchmark screenshot posted on Esato shows a record-breaking 32,173 AnTuTu points. So that's going to be really quite powerful. Even more powerful than the suspected Snapdragon 800-toting Samsung Galaxy S4 benchmarks that were leaked earlier, which came in at a comparatively measly 31,491 points. It even dwarfs the octa-core processor found in the more-powerful variant of the S4 currently on the market, showing Sony wants to play in the power stakes too. Meaning you'd be wise to expect Sony's beast to be a hyper-fast 'phablet' type device that will give the Galaxy Note 2 a run for its money and could even take on fully-fledged tablets - although, of course, it's worth bearing in mind that benchmarks such as these can be faked. 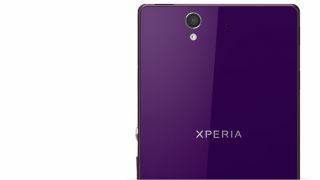 Other leaked specs for the Xperia ZU include a 6.44-inch full HD screen and an HD camera. We're expecting Sony to take the wraps off its newest handset at an event on June 25 - we'll be there bringing you all the news as it breaks, so stay tuned.